Home » BLACK PROJECT? Has secret site of grounded TR-3B triangle UFO been found on Google Earth? A MYTHICAL top-secret “UFO” spy craft could exist and one of its secret hiding places may have been rumbled on Google Earth. 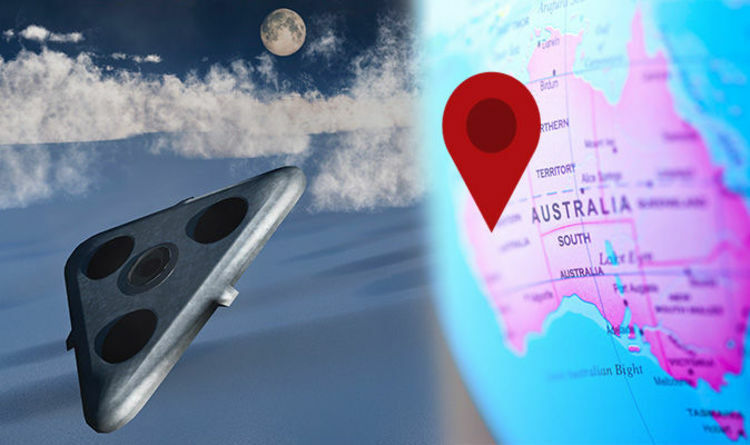 Conspiracy theorists are excited after claims a TR-3B has been found on the ground in a remote part of Western Australia. TR-3B is alleged by conspiracy theorists to be a secret “black project” spy craft of the US Government that can be flown into space. The allegations are that these crafts are created at top-secret military bases like Area 51 in Nevada, by reverse engineering alien technology. Others claim they are actual UFOs flown by aliens visiting Earth. The field is located between Badgingarra National Park and Wongonderrah Nature Reserve. The “TR-3B” can be found at coordinates 30°30’38.44″S 115°22’56.03″E one Google Earth. It appears as a large triangle with bright lights evenly placed around it, in the same way the TR-3B is said to have. Some conspiracy theorists have even said the triangle no longer shows up amid claims of a cover up. One Google map user accused the platform of trying to “hide” the spot where the suspected UFO used to appear. RUMBLED? Is this a secret UFO spy craft or an optical illusion? The sighting has featured in many YouTube videos. However, there is likely to be a less spooky explanation for the shape. Many viewers think it is an antenna that forms part of a nearby remote-controlled wind farm. With three sets of wires forming the triangle shape, and a tower in the middle, the antenna likely receives and transmits control signals. Ben Cinurts posted on YouTube: “It is an antennae mast site. Pretty obvious.